Your drivers want to know they’re getting a fair share of the business that’s coming in, and see exactly how much they’re earning. Zoom’s Driver App makes things fair by simply giving each job to the driver who’s best placed to do it. 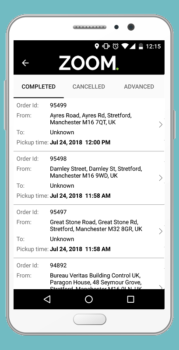 Zoom’s Driver App works on existing smartphones – iPhone and Android – and can be downloaded directly from the app store. 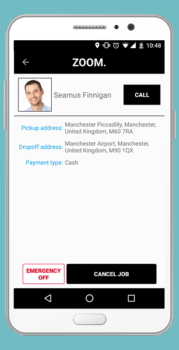 All the driver needs to do is log in with their details to start taking bookings. So Zoom ensures your drivers get a fair share of the work and can see how much they are earning. Start your 6 week FREE trial today, and see for yourself. You want to know you’re getting a fair share of the fares, and to see how much you’re earning. That’s where Zoom makes all the difference. Zoom’s smart dispatch system makes sure jobs are sent to the most appropriate driver, quickly and efficiently. And our Driver App gives you all the tools you need: best in class 3D mapping, a fare meter, plus messaging and reporting functions. What are the benefits of Zoom for drivers? Zoom offers drivers an easy and intuitive experience with our app. They are able to use their own smartphones which reduces the hassle of unnecessary hardware. The auto-dispatch algorithm means that they will experience far less empty runs. 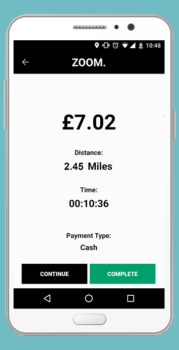 It is a simple but powerful app with features such as 3D voice navigation and a live fare meter. 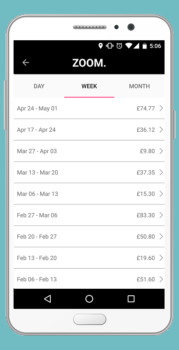 It is also possible for drivers to easily keep track of their earnings and jobs on the app. 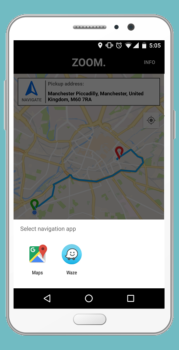 Can drivers navigate within the app? Yes. There is a 3D turn-by-turn, voice navigation system built in to the app. 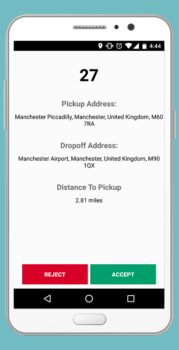 This is easy to use, allowing drivers to locate passengers and take them to their destinations. Are there ways to communicate built in to the app? Yes. You are able to communicate with the operator through an easy to use messenger, as well as an emergency function. And once you have accepted a job, you are able to call the passenger to ensure the pickup runs smoothly. Can I use the app to keep track of admin type tasks? Yes. 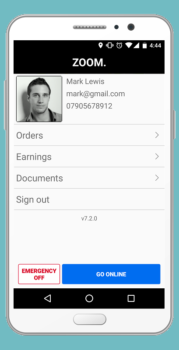 You are able to keep track of your previous jobs and earnings with just a few clicks of a button. In addition to this, you can easily upload the documents which are required by your firm. This is simple to do from your phone and means you do not have to go into the office to update your documents.